Having made a small investment in Neil Woodford’s new equity income fund last month, I was interested to read that instead of just revealing the fund’s top ten stocks like other fund managers, he planned to disclose the fund’s entire portfolio. Of the 61 companies listed, I recognise only 22 of them. If I had a lot more invested in the fund, I’d probably make a point of reading up about the companies I’ve never heard of. Ok, scratch that – I will make the effort to find out more about all of them. By revealing the full list to the public, I wonder if, given Woodford’s reputation, he will inadvertently ‘influence’ other fund managers/investors into investing in some of the smaller/lesser-known companies he has included in his fund? 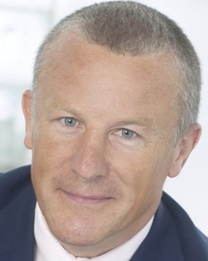 Will other fund managers copy Woodford, perhaps thinking that he knows something that they don’t? I wonder what impact (if any) this will have, although surely the extra investment (and extra profile) would be a welcome bonus to these smaller companies? This entry was posted in Funds by weenie. Bookmark the permalink. A very interesting read, thank you for sharing it. I didn't realise he took the plunge and exposed all. I've not seen that before. I had to look and see how many I had in my portfolio, and it's nice to see I have a few in there. If you look a some of the other top income funds and their top 10 holdings, I'm sure you'll see some familiar names too. Hi Cerridwen, Thanks! So far, I've only been able to check out a few websites to see what the companies actually do but it's pretty interesting! Hi Huw, I spotted some of 'your' shares in there and there are a few that I'm considering buying separately myself. Yes, the top 10 holdings are pretty much similar to other equity income funds, so perhaps what makes all the difference are those lesser companies I've not heard of – all the more reason to read up on them maybe haha!